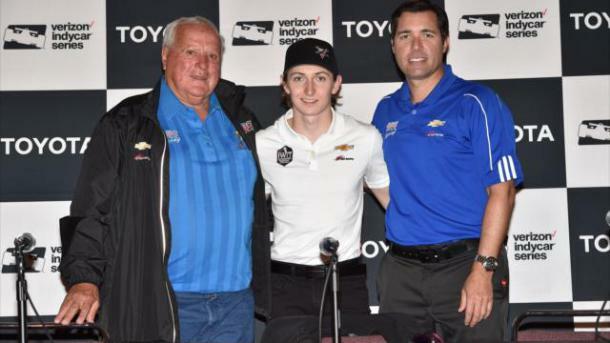 LONG BEACH, Calif. – The first of two weekend confirmations for this year’s 101st Indianapolis 500 presented by PennGrade Motor Oil occurred on Friday as Zach Veach was announced in A.J. Foyt Racing’s third Chevrolet for the month of May. For the 22-year-old out of Stockdale, Ohio, it comes as the culmination of a long road through the Mazda Road to Indy presented by Cooper Tires and a brief hiatus when it looked like his career might have stalled out entirely. 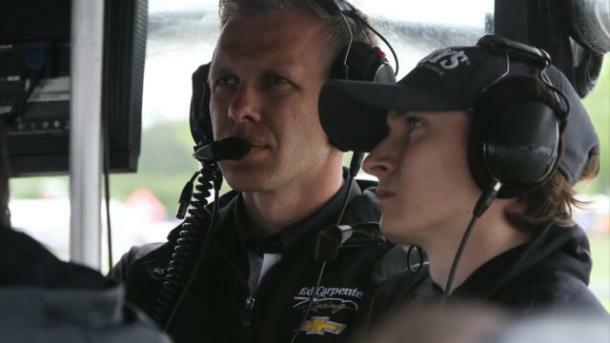 Through methodical hard work, development and persistence, Veach’s story is a good one as he’ll arrive for his first Indianapolis 500. Veach, who will drive the No. 40 Indy Women in Tech Championship presented by Guggenheim entry, has been a mainstay in the MRTI since 2010, when he debuted with Andretti Autosport. Although he’d won a handful of races en route to a title in the 2011 Cooper Tires Winterfest and posted back-to-back top-five finishes in the 2010 and 2011 regular seasons, he didn’t seem to be an immediate IndyCar prospect. 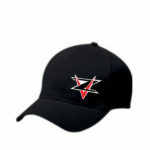 That said, his name started to emerge on the fringe of the conversation through his business savvy, which seemed advanced for his teenage years. He’d written a book, 99 Things Teens Wish They Knew Before Turning 16 (released on his 16th birthday), and campaigned against distracting driving in those years. Veach finished 10th in his step up to Star Mazda in 2012 – a field that would include eventual IndyCar drivers Jack Hawksworth, Gabby Chaves and Sage Karam and others such as Connor De Phillippi, Gustavo Menezes, Stefan Rzadzinski, Ashley Freiberg and Corey Lewis who have moved on to sports cars – and then went to Indy Lights in 2013 where he finished seventh. Veach finished third in Indy Lights in 2014 courtesy of a quantum leap in performance in his second year with Andretti Autosport. He won three times and had a shot at the title going into the final races of the season, but came up short to Chaves and Jack Harvey, who tied on points. A hand injury and subsequent surgery sidelined his progress and cost him nearly the entire 2015 season. But it was that year, when he was out of the cockpit full-time save for a one-off entry in the IMSA WeatherTech SportsCar Championship with JDC-Miller Motorsports’ Oreca FLM09 at Mazda Raceway Laguna Seca, that may have been the most pivotal in his career to date. He’d met Brian Belardi and stayed in touch with the team owner throughout the year, as one meeting in a year when he kept himself entrenched in the IndyCar paddock as a member of IndyCar Radio. Veach hadn’t considered broadcasting from the start but quickly became a natural; he’s hopped on occasional broadcasts the last two years in both analyst and pit reporting roles. He also stayed in the paddock as a driver of two-seater IndyCars. Veach’s 2016 season was a comeback story that was a good one in a significantly deeper Indy Lights field. He and Belardi won three races (Road America 1, Watkins Glen, Monterey 1 – incidentally where yours truly filled in on IndyCar Radio as an analyst for the Road America and Watkins Glen races!) and could have won more had it not been for a couple mechanical issues. Teammate Felix Rosenqvist won three races in a limited season, and also lost at least one win for something outside his hands. He also made his IndyCar test debut for the first time at Sonoma with Ed Carpenter Racing, in what was widely considered a positive test. But whether or not Veach could translate that solid effort on track into an actual race seat would again come down to those outside the cockpit business and networking lessons learned earlier. It seems a series of connections helped land his primary sponsor for this race. Veach understands expectations will be modest and he has a lot to learn, with his first running expected for the Rookie Orientation Program. And Foyt’s team is in the process of learning and developing both the Chevrolet aero kit and engine; Veach is expected to have Andy Brown as engineer and Andy O’Gara as strategist to aid his own development. Brown worked with Matthew Brabham at PIRTEK Team Murray last year and O’Gara was long a staple with wife Sarah Fisher’s Sarah Fisher Hartman Racing and CFH Racing teams through 2015. A.J. Foyt said the trio of Veach, Carlos Munoz and Conor Daly will be an intriguing group of youngsters. “I was young at one time, not any more, but one time. Of course, Mother Superior told me we had to put 40 on the car because it’s been 40 years since I won the ’77 race. That’s how we come up with the number,” he said. For Veach, two of his young colleagues and fellow Indy Lights veterans – Munoz and Chaves – will be key to his development and progression during May. Munoz was his teammate in 2013 and promptly finished second in the Indianapolis 500 as a rookie for Andretti Autosport; Chaves won the Freedom 100 the following year and has quickly become Veach’s best friend. The two hang out regularly and travel together, most recently doing two-seater driver duties at Long Beach. Chaves’ Indianapolis 500 program is close but not confirmed yet. “Carlos taught me not to be afraid of the white line!” Veach said. “It’s no secret he likes to run down by the curbing. If it’s fast, I’ll transition into it! I’ve always had the little big brother/relationship with him and (his manager). He has three or four races under his belt already. He’ll be one of at least three rookies in this year’s Indianapolis 500 (Harvey, Ed Jones) with potentially more to come.